As the perfect complement to your new seamless gutters, our team of professionals can also provide you with a gutter protection system from Gutter Monster. These innovative guards will prevent leaves, seedpods, twigs, and other debris from entering your gutters while still allowing them to collect rainfall and channel it away from your home’s foundation. This means your gutters won’t become clogged, and you won’t have to spend hours on a ladder cleaning them out ever again. For additional information regarding Green Machine and the custom seamless gutters that we produce and install for homeowners in Jacksonville, FL, please contact us today. 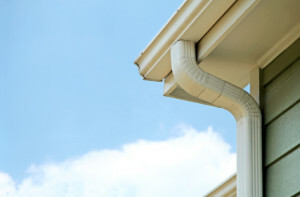 We’ll be happy to meet with you and provide a free consultation and pricing estimate for your new gutters.